With a Culligan Bottle-Free® water cooler at your home or office, you’ll enjoy the best drinking water available anywhere. 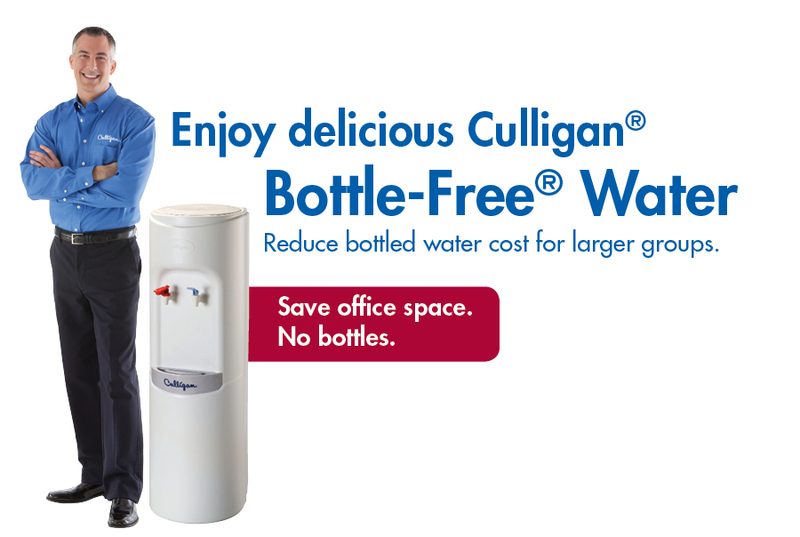 Culligan’s bottleless water coolers eliminate heavy 5-gallon water bottles so you can enjoy unlimited, great-tasting, high-quality drinking water, without the hassles of traditional bottled water coolers. Your local Culligan Man can recommend the right drinking water solutions for you which could include either bottled water delivery or Bottle-Free® Water Coolers.